This location is second to none and a proven with high traffic flow and visibility. Excellent opportunity to walk into an established & successful business or bring your own ideas. Owner is willing to offer any and every option you would want to explore. 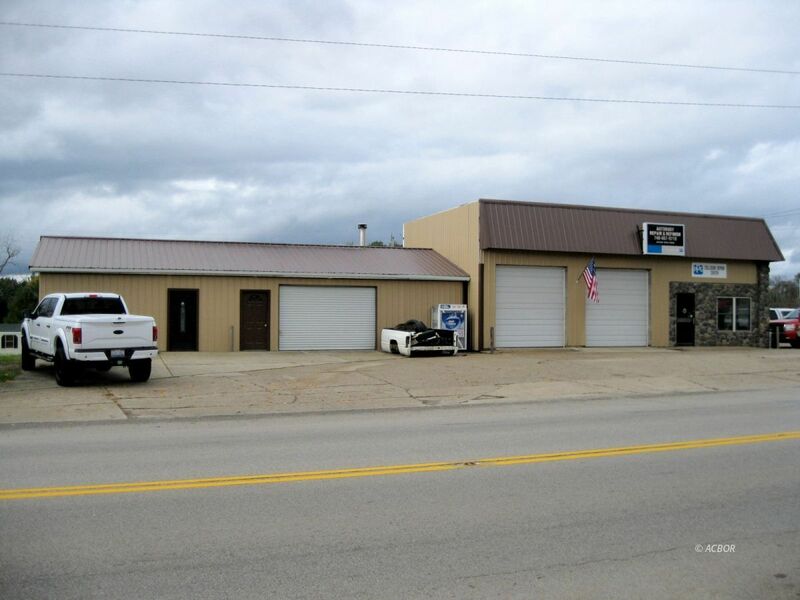 The existing business is operating as a body/mechanic shop with office, separate bay with body shop & 2 post lift, another bay with Frame Rack, a separate painting booth with prep room and paint room with exhaust. All this plus an additional space that had been a small retail store currently vacant. Property includes a mobile home lot that currently has an existing mobile home renting the lot for $250 per mo. Owner also is passing on their all steel franchise building distributorship Property has enough road frontage so you can room to expand.